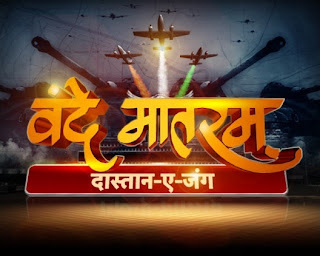 Aaj Tak, India’s undisputed Numero Uno News Channel is launching a one of a kind show, ‘Vande Mataram’ that will pay tribute to the martyrs and unsung war heroes who had put their lives at stake for the nation. The show, “Vande Mataram’ will premiere on 17th August 2013 and will be anchored by noted actor Kabir Bedi along with voice over narration by actor Raza Murad. The show will bring to life the untold stories behind the many wars that the Nation has fought and will honor the many soldiers who fought for the motherland. The show promises to take the viewer to the depth of India’s war stories and will get the audience to experience the patriotism, battles and victories by taking them to a different era. The first episode of the show will focus on the War of 1971 against Pakistan and will unravel a lot of facts including the on-ground realities, various war strategies and techniques that will be backed with original archive war footage, innovative graphics and visuals. The show will have a unique studio setup with real war room sets and exhilarating visual effects that will be backed with well researched content.